Whether you have moved into a new home or have been dying to revamp your kitchen, Key Residential is there for you. 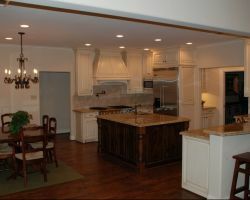 This company offers to build custom homes and provide custom renovations. This is the best way to ensure your home is exactly as you have always wanted is to have this company come in and customize your living space. Reviews say that these professionals are incredibly easy to work with and are helpful from the design and layout to the construction and adding the final touches. LASCO Roofing & Construction is company completely dedicated to the satisfaction of their customers. They believe in providing honesty, hard work, and cheap prices for their customers, something they have done for the entire 15-year history of the company. The owner, Chris, believes mutual respect is the key to having a successful working relationship with his clients regardless of their specific needs. Though LASCO began as a roofing company, they have expanded to offer comprehensive kitchen renovation and home construction. Caruth Custom Homes is a home and kitchen-remodeling contractor that is capable of doing any and every design job you may have for them. The professional team at this company has been working for over 15 years to provide the highest quality renovation and construction services in Texas. Whether you need help with the design of the project or would like this team to make your dream kitchen come to life, they are up to any task and for affordable prices as well. 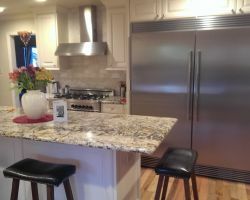 Cabinet Craft is not your average Dallas Kitchen remodeler. 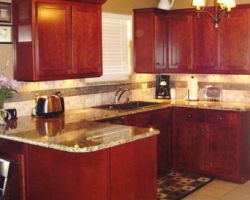 This company is one of the few family owned local remodeling companies that offer top quality hardwood cabinet refacing and total kitchen redesign. The owner of this company, Dave, has over 34 years of experience, which he personally offers to each client. This is not a company where you will be dealing with a nameless, inexperienced worker. When you hire this company, you will be working with the owner throughout the process. Kitchen remodeling in Dallas, TX is not a big task when you have expert designers and contractors working with you throughout the process. 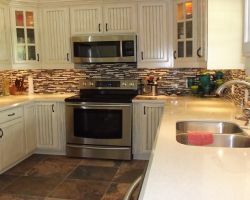 That is why many families turn to the professional and reliable services or TK Remodeling Contractors. 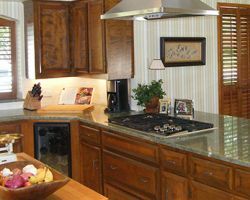 This company offers free estimates to potential customers before they even begin designing a new kitchen. This proves just how confident they are about the services they can provide and the prices as well. With over 18 years of experience, you can trust this company with your home renovation project.